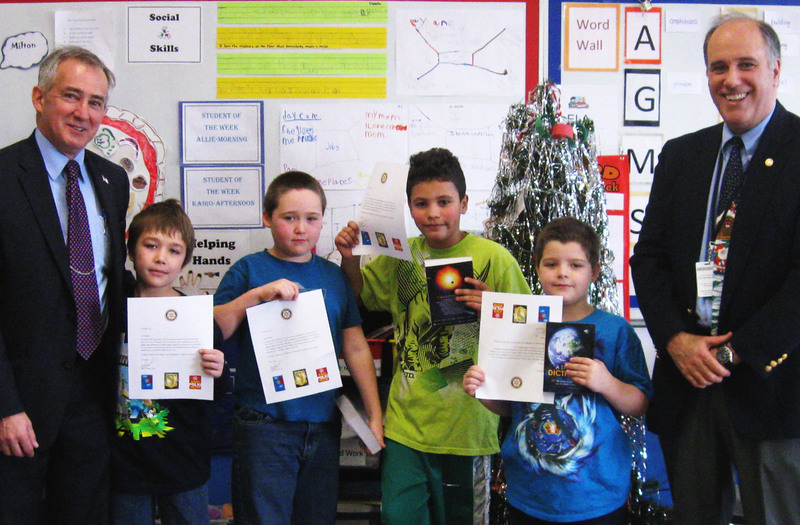 Fulton Rotary Club President, Jerry Seguin and Rotarian, Bill Lynch recently presented students on Robyn Yorker’s Blue Team at the Oswego County BOCES Stepping Stones Day Program with the gift of personal dictionaries. The children were also provided an overview of the Rotary’s important work, both at local and international levels. The club’s ultimate goal is to positively impact the lives of others. BOCES students will put the dictionaries to good use as they complete classroom activities like “Word of the Week,” an assignment involving spelling, defining and using words from their ELA Modules in original sentences.